Until today, I had never heard of Long Distance Pillows. But what a wonderful, cute, and fun idea they are! Sometimes long distance relationships are unavoidable, and they certainly have their troubles and downsides, but with commitment and patience, and little things like this that remind you of your partner, they can work out just fine. 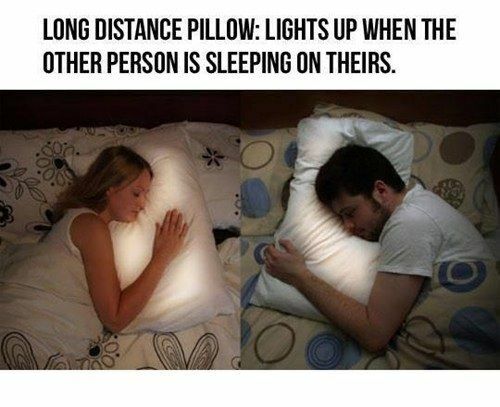 Each pillow lights up when the other person is sleeping on theirs, so you can get a little piece of comfort to snuggle next to you even when your loved one is far away. Where is heaven, and where is hell?